Notes: Paul with Stella & Liv Tyler just before the gig. 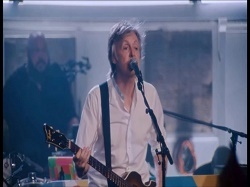 Notes: Paul does a secret gig at Abbey Road Studios for 60 people. Cameras where not aloud in the gig but a few people did capture some of the concert. 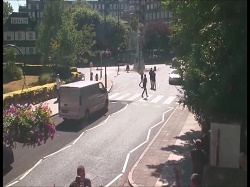 Notes: Fans outside Abbey Road Studios capture video of Paul leaving after the gig.